HQ Language Services is the first and only financial translation services provider exclusively specialized in forex, cryptocurrencies and banking content. Our clients are the world’s leading banks, brokers, financial companies, insurances, financial magazines and websites. Trust our utmost attention and expertise in financial translations to ensure 100% accuracy of your financial documents. I've been working with Consuelo for over a year and during this time she has provided an exception language translation service. The quality is always impeccable and Consuelo has been very easy to work with because of her expert industry knowledge, flexibility and commitment to delivering a professional and finished product every time. 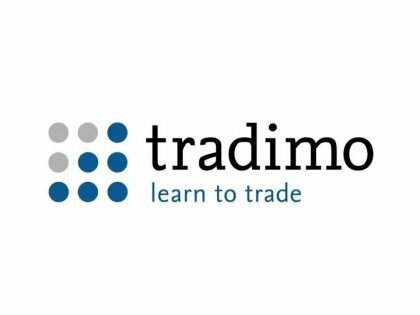 Tradimo is a content rich website with almost one million words per language of base content alone. I had considered using several agencies for this monumental project, however, the planning thought and consideration shown by HQLS showed me just how competent they are at managing a project of this magnitude. We have now successfully launched our company in Chinese and Arabic without a hitch and I have quite simply been blown away by the service. HQLS are definitely a company that go over and above. The project managers and the owner put in extra hours and work all night to meet deadlines, the quality is outstanding and any obstacles are dealt with swiftly and efficiently. They have translated over 2 million words for tradimo without a single hitch and they are, quite simply, our only choice for a partner when it comes to translation. When FX Empire was looking for a freelance translator 3.5 years ago, we had no idea that you and your team would become part of our family. No need to say how pleased we are for having you with us, giving us the most professional, accurate and dedicated service as possible. The FX Empire team would most definitely recommend anyone who is in need for professional translation and content services to contact Consuelo and her team, we are convinced they would be pleased as we are. We have been working with HQ Language Services since 2015 and I find they literally excel in quality, accuracy, speed and a knowledge of the subject. They handle a wide range of languages with utmost professionalism and are Always available in case of any further queries. I would also like to especially point out their flexibility and aspiration to fulfill any customer's needs and requirements, they always do everything possible to make their customer happy. I would certainly be very happy to recommend them. If you are looking to hire a professional translation agency specialised in the forex field HQ Language Services is what you are looking for! They provide a fast, efficient and high quality service at a fair rate. I would certainly be glad to recommend them! HQ Language Services is the best translation agency I have worked with so far. They have always met the deadlines, the quality of translation is very good and, last but not least, the balance between price and quality is awesome. Well done! Quality is not a promise, but a fact. Trust us! With over 15 years’ translation services experience, we are the leading and best translation service provider of superior quality language solutions for the global financial industry. In a globalized world, international finance represent an opportunity of the outmost importance for everyone everywhere. We help you translate financial content into your own language. And into hard money. Don’t buy a pig in a poke! Test our quality for free ! All of our services. Take a look! HQ language service is the fastest growing company for best translation service with a commitment to quality. 100% satisfaction guarantee at competitive price assurance. 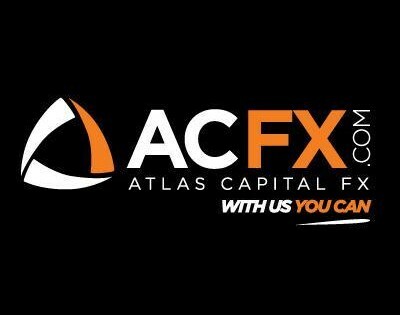 we can provide Forex translation service, insurance translation service, banking translation service and all kind of business translation service. Expand your market, improve your business! We provide superior financial translation service and localization services to let you compete in the global market and communicate with your target audience. We take you everywhere without losing anything! Thanks to their linguistic and cultural skills of the target market, our teams offer the most effective and reliable trans-creations. Taking you around the world, bringing you the world! Our translators provide subtitling and dubbing services with the due respect for cultural distinctive features. We don’t miss a letter, you don’t miss a coin! Our transcribers provide unparalleled expertise to meet your need preserving cultural nuances and ensuring a real impact on your target market. We save your time working on your social media! We are able to manage all your profiles creating a positive environment for your business in the global social community. We offer ongoing support for all of your copywriting needs! We create products that make your brand stick and continuously attract the right traffic. Our standard price structure lets you pay a fixed, standard amount per word for one-off projects. Your payment includes translations, proofreading and a dedicated project manager. We offer competitive discounts for large, one-off translation projects. Our Translation Services rates are really competitive, allowing you to save a substantial amount of money. Our unique Fixed Monthly Plan allows you to make real savings on ongoing projects. The rates are staggered across different monthly work volumes—as the number of words you need translated each month increases, the price reduces considerably. Instead of paying standard prices, your ongoing projects are greatly discounted.